I know, I know, it's been a while since the latest release of PCLOS, but I didn't have the chance to test it up until now. Did I enjoy it? Will it find a permanent place in my CD Wallet-of-Fame? Embark on this new epic edition of Distro Hoppin' and find out! PCLOS 2009.2 is shipped to you as a 690 MB ISO via worldwide servers, ready to be burnt on a single CD. The main edition comes with the not-so-recent-but-oh-so-responsive KDE 3.5.10 so I went with that. The Live environment booted in about 1 minute and 30 seconds - a decent wait - and, happily, the resolution was set at my monitor's native: 1440x900. I immediately reached for the "Install" shortcut on the Desktop and, a few moments later, I was asked to remove any unused video drivers (PCLOS comes with out-of-the-box support for a bunch of GPUs), an automated process once you accept. The rest of the installation is identical to Mandriva's, meaning you won't have any trouble going through the steps. It took about 15 to 20 minutes to get PCLOS on my HDD, after which I restarted the system, removed the disc and chose to boot the new system from the beautifully designed GRUB. Before taking the plunge, have a look at the Crash Test Dummy I call computer. The desktop presents itself with an elegant, out-of-your-way wallpaper and a single, thick panel on the bottom. There are initially six shortcuts icons on that panel: the Main Menu, Home, Control Center, Administration Center, Synaptic Package Manager and Firefox. Next to those, workspace selection, the application switcher and the notification area, featuring a nice, easy-readable digital clock + calendar, the Klipper clipboard tool, volume control, network manager and a nifty little arrow that allows you to pull the whole panel off the screen in case you ever need more vertical space. The theme itself looks good enough, what I don't like is the Vista-like window control buttons. They are nice and all, but come on, why copy? Anyway, that's not a reason to diss PCLOS, so let's carry on, shall we? Who would've thought that KDE 3.5.10 will still be used so late after the 4 series was released... But here it is, boldly setting a solid bridge between the user and the OS. The sheer speed of it, the responsiveness and stability still manages to surpass KDE 4.3.0, at least on older machines. One of the first things I've tried was my multimedia keys on the very basic (cheap) A4Tech KL-23 keyboard that I have. I was so sure they would work, but my certainty was shattered when realizing the harsh truth: they DON'T work. I've tried configuring the keyboard shortcuts but PCLOS wouldn't want to pick the signals from the keys. I did a bit of digging with the help of my good friend, Google, and stumbled upon this post from Yet Another Linux Blog. (). So I opened Synaptic, looked for KeyTouch and there it was. Once installed, I had to choose the keyboard model and lo and behold, the (approximately) exact same model was in the list! Yuppi! Still, I could only use Play/Pause, Next and Previous, the volume keys were still dead. Fortunately I found a plugin for controlling KMix, downloaded it, expanded the archive, ran the "make" command and imported the .so file into KeyTouch, allowing me to configure the volume keys the way I wanted. Certainly not an out-of-the-box experience, but it wasn't too hard to figure out either. 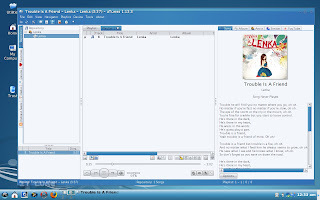 Speaking of sound and music, the version of Amarok included is 1.4.10. 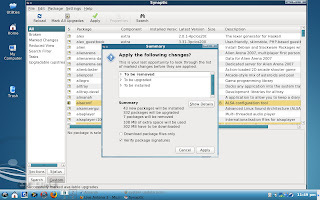 As I am more of a Rhythmbox fan, I fired up Synaptic yet again and was amazed to see the LATEST version of Rhythmbox (0.12.5) available. But, upon downloading the packages, a few errors led me to think there was a problem with the server hosting the repositories, so I went into Synaptic's settings and chose another one from the large stack. Sure enough, everything returned to normal after that. Seeing such an up-to-date application, I wondered what a full system update would do, as Firefox was a bit lagging behind. As expected, there was a large quantity of updates waiting, so half an hour later it was done. 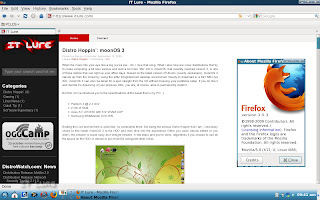 And, again, total satisfaction as I launched the brand new Firefox 3.5.3 with all its goodies. Kopete did a pretty good job at handling my Yahoo account but I was tired of seeing the old version notification from Yahoo whenever I would connect, so I did yet another search for my good ol' friend, Pidgin. Bam! another pleasant surprise: Pidgin 2.6.2. I was starting to really like this distro. Another application that I use a LOT is Dropbox (awesome online storage service with sync and share capabilities), but I knew that support for KDE was problematic. Fortunately, before trying out the complicated tutorials around the web, I remembered seeing something about Dropbox on the PCLOS homepage. What? Dropbox available in the repositories? You HAVE to be kidding. Nope, they were not. I installed Dropbox with just a few mouse clicks and the app got its entry in the Internet --> Remote Access category. Nice! Among the bookmarks set by the team in Firefox, one especially caught my attention: App Store. Hmm... sounds interesting. This place allows you to easily install different programs through a nifty little feature recently implemented in PCLOS: apt-url. Sure, the "store" is still rather empty but it works as advertised. 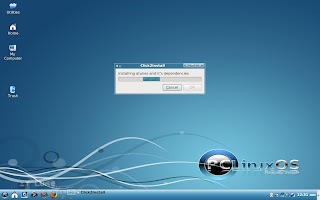 Click Install, type in the root password and let Click2Install do the rest. One of the icons that are present on the Desktop is a folder called "Utilities", that contains a handful of useful... err utilities. :) One can add various locales to the system, create Live Remasters, install PCLOS on an USB drive, repair the bootloader, install the latest OpenOffice.org suite (you have Abiword on the default installation), etc. ; overall, a great collection designed to ease some of the tasks that need to be performed on a fresh install. Flash and Java come pre-installed for a complete WWW experience, while MP3s and popular video formats will also play just fine, no extra work involved. My Canon A550 digital camera was picked up by DigiKam and, though the first few times I couldn't access the pictures on it, once the system was fully updated, it was all working fine. 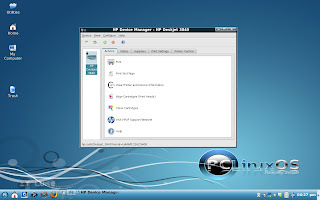 The HP Deskjet 3845 printer is also fully functional (within the limitations that seem to come with every Linux OS) and the HP 2100C scanner scans flawlessly with the help of Xsane. Even the Huawei 3G modem was detected by PCLOS. For a bit of a more interactive fun, PCLOS has a lot of small, casual games but you can also look for and install some of the "big" titles like OpenArena, which worked great on my low-end graphics card. Pick a mirror and download PCLinuxOS 2009.2 from here. I miss running PCLinuxOS, since I need a newer kernel than it currently has for my X58 chipset. You don't have to wipe and reinstall it very often (once every couple of years) due to the rolling release setup, and the community is well behaved and top notch. Also, when you ask for a package that isn't in the repos, they respond quickly and oblige any requests that are possible. What you don't like the menu button,because it's copied! ?C'mon now that button it's ancient Pclos!Some linuxists are so dum! Good too hear from you ruel. I have to say that this is a good review. As no linux distro is perfect PClinuxOS comes as close as I have seen. Best Distro out there, have updated to KDE4.3 and love it. I also have Mint installed but I hardly use it now. It's not perfect but you have to dig really deep to find the imperfections. good review but I have to take a little exception to the statement that you love running the "bleeding edge" with PCLinuxOS. PCLinuxOS is in no way the bleeding edge of Linux, not even close. 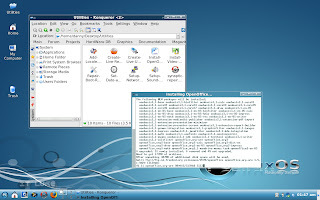 The very fact that it runs KDE 3.5.10 makes it not the bleeding edge with KDE 4.3 out there. Plus the current version of Amarok is 2.1.1 not 1.4.10. Now none of this matters with regards if PCLinuxOS is a good distro or not, I am sure it is, but come on its not the bleeding edge, lets leave that for Fedora or Arch. PCLos is great, but I prefer the Gnome version. 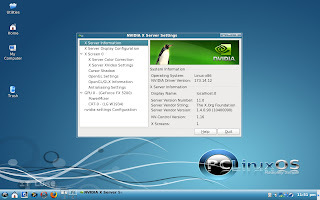 "The very fact that it runs KDE 3.5.10 makes it not the bleeding edge with KDE 4.3 out there. Plus the current version of Amarok is 2.1.1 not 1.4.10." True, but other than that, applications like Firefox, OpenOffice.org, Rhythmbox, GIMP, Pidgin are as up-to-date as they can be, so it's certainly a more bleeding-edge approach than other distros. As was mentioned, but not elaborated on, KDE 3.5 is the default, but KDE 4.3 is in the repos, you just need to add a 4 to the kde section, as in kde4. This will replace KDE 3.5 completely. As KDE 4.3 is still lacking some of the functionality of KDE 3.5 it was decided to leave KDE 4.3 as an option, rather than the default, but it is definitely there, and a very fine example, with the texstar touch. You might want to give it a try. The only downside to pclinuxos is that it's kernel version is ancient as far as kernels go. I know the devs think they're being stable right now but I find that hard to believe because many other distros are shipping stable 30 series kernels with no problems...so I'm not sure what's up with PCLinuxOS kernels right now. I suspect they've having problems with toolchain and recent kernels. Who knows though? I've only seen mention of it in the pclinuxos forum once. 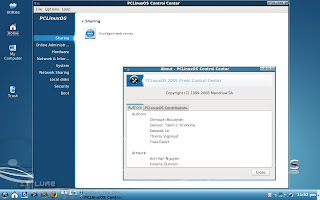 For sure, it's not bleeding-edge but PCLinuxOS 2009.2 satisfies my need for a stable and relatively fast distro to handle my day-to-day computing requirements. I prefer the Gnome edition as it feels more solid and faster than the KDE version. Nice but until they come out with a 64 bit version they will still be in the dark ages. "I love living on the bleeding-edge of software"
I can say that PCLOS is a wonderful OS. I recomend that those that have not tried it should give it a run. I am now runnung kernel 2.6.27.31 and KDE 4.3.2 and it works great. everything works nice with my toshiba satillite. I think linux is just a great OS and having all those flavors to choose from is awesome. PCLOS is a rollin' distro, meaning you should not have to re-install to stay up to date. Until recently, that prevented bringing gcc and glibc? up to date. They've figured out how update the toolchain and keep the ability to just update with out a reinstall. This will allow the addition of the latest kernel 2.6.31.x. The next couple of releases will be awesome! Since the last comment I made, The PCLinuxOS tool chain has been upgraded, in the usual rolling upgrade mode, through Synaptic to the latest gcc, glibc and binutils available, the heavily patched 2.6.27.31.tex5 kernel has been moved from testing into the main repository, with 2.6.31.1 slated as the next kernel to go to testing, and KDE 4.3.2 is now available. Packages that wouldn't compile with the old tool chain are now being updated to their most recent versions, so will be available after a testing period, in some cases, but most will be made available as they're built. That should address all of the complaints made so far, except the one that refers to a 64 bit version, which still remains low priority at the moment. It's time will come. I have been quite disappointed with the current state of power management for my ATI Mobility Radeon X1600 so I was pleasantly surprised that a distribution version this new still comes with an old enough catalyst driver that supports my "legacy" card. I don't mind going with an older kernel version as long as my HP NC8430 keeps cool and quiet. I'm not updating/upgrading for a while until they resolve the KMS stuff and I can reconsider the open drivers, right now the Ubuntu 9.10 beta gets my laptop very hot so PCLinuxOS gets to be my preferred distro for now and why not for later, too. PCLOS is failure when it come to supporting mobile broadband. I had a huawei ec325 modem which cannot be configured in PCLOS. 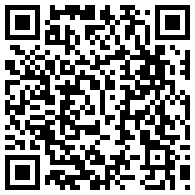 I posted it in PCLOS official forums. I was not able to solve the problem. I regret my decison to switch to PCLOS. That decision was not a wise one. as my USBmodem worked flawlessly in ubuntu, linux mint and fedora. if there is a hardware failure with the distro it can be kicked out. now i use ubuntu. i am not blaming any distro by this. i just want my devices to work in a distro.no matter which name it is. for the time being it works well in ubuntu. So naturally Ubuntu is my choice. Anonymous, it sounds as if you installed it without using the LiveCD to test first. That would be your own fault. PCLinuxOS isn't perfect, but it gives you the tools to test it without having to install first, as most distros do these days. 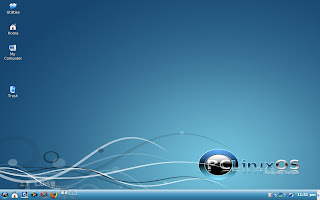 As for me, I have been using PCLinuxOS since early 2005, and I love it. I pay them $80 every year because that's what seems reasonable to me for what I get in return. I would not be anywhere near so productive at work if it wasn't for PCLinuxOS.